Now that my brother is riding I have more people to ride with than ever before. In fact nearly all my close friends ride. Looking at a nice view and a look back at myself. Not that it is really a new realization. I’ve known for a while that I like not having the added pressure of keeping my pace to what others are comfortable with. I like being able to go as fast or as slow as I like. 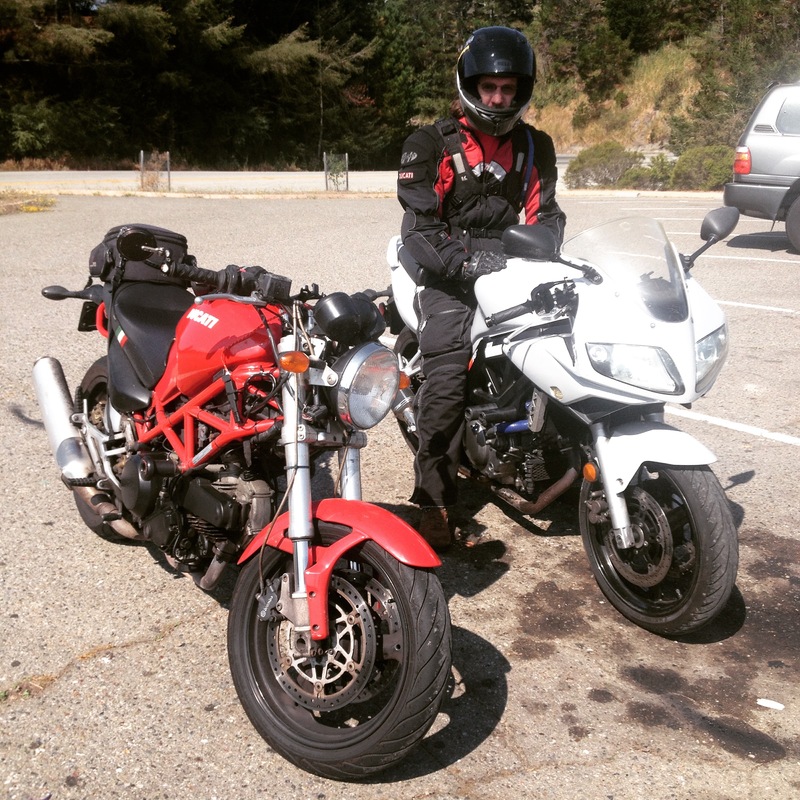 It is tough to say that I only like riding alone, because that isn’t true, I really enjoyed my ride to Laguna Seca this summer and I’m really looking forward to riding with my brother. I thought about this a bit as I rode the long way home last week. I was zipping along at my pace, which before hanging out with and riding with my brother I really did not think was too fast. I realize now that while it’s not “Racer” fast, it is fast for a lot of people that don’t have the years and miles I do on the motorcycle. I enjoy riding with others, I just miss zipping along and getting good lean angle. Oh well, it was time for me to slow down anyways. It’s not all bad, good times with good people. 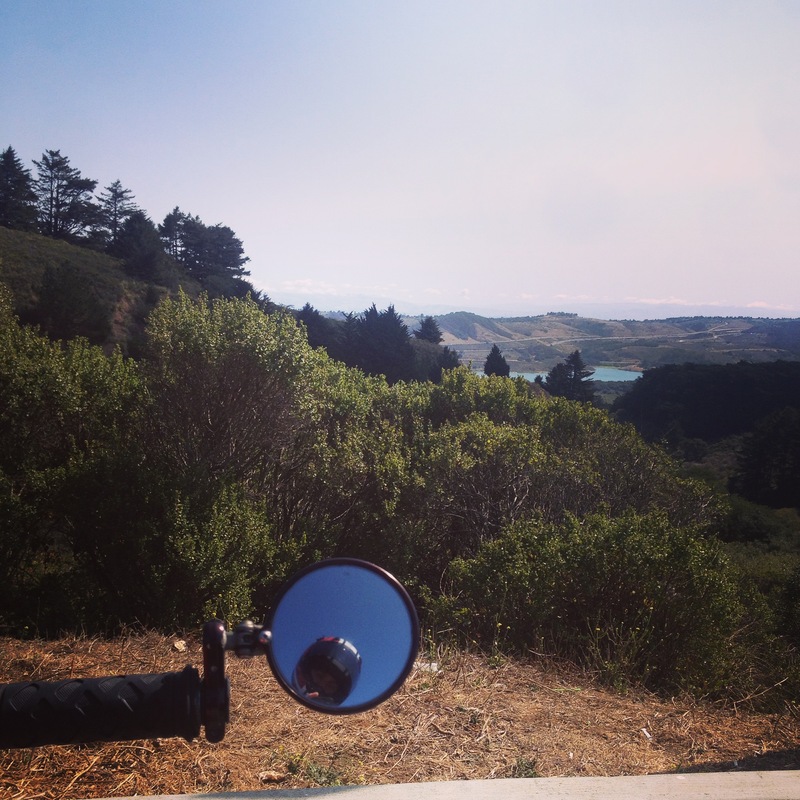 This entry was posted in Life, Motocycling, Riding and tagged group rides, moto, riding. Bookmark the permalink. True story right there, I have yet to find the right blend of solo riding and group riding. It’s funny – I enjoy the camaraderie of group rides, and the fun of riding with a friend, but my best rides are always alone when I can stop as often as I want for pictures. Still, I like having a little bit of all those rides! It’s my Birthday and I’ll ride if I want to.